Why does the GOP think it’s okay to mock Indians? Americans for Job Security is a corporate front group. It has spent millions on behalf of campaigns to repeal the estate tax and take down the Employee Free Choice Act. This week it unrolled a spot that can’t help but be described as racist. The ad targets Bill Halter, who is running in the Arkansas Democratic primary against Senator Blanche Lincoln. It features Indian actors—in Indian outfits, with Indian accents, with images of India behind them. They thank Halter for his support of outsourcing to Bangalore while he served as the director of an unnamed company. The poorly produced ad, which somehow cost Americans for Job Security $900,000, trades in crude cultural clichés and carries the clear implicit message: Don’t vote for that politician who does business with the funny-sounding Indians. Our society strangely tolerates mocking Indians. There are never, for instance, ads attacking outsourcing to Ireland with Irish actors, even though that country has made a major push to become an outsourcing hub. Or imagine an ad featuring Hassidic Jews and klezmer music and the outrage that would generate. Or remember the storm of condemnation that rightly rained down on Senator Bob Corker for his racially-tinged attack on Harold Ford. Yet, similar treatment of Indians seems to be perfectly acceptable in many quarters. Of course, this isn’t the first time that a politician has dangerously injected Indians into a political attack. During the Democratic primary, the Obama campaign attacked Hillary Clinton for supporting outsourcing and described her as “D-Punjab.” But there was a big difference between that incident and this one. Senator Obama quickly apologized to the Indian community. And we later learned from David Plouffe’s campaign memoir (and others) that he yelled at his staff for the attack. At the end of the day, Obama was deeply offended by it. With the Americans for Job Security smear, Senator Blanche Lambert Lincoln wasted no time in condemning the ad—blasting it the very morning it surfaced. It begs the question, why hasn’t a single Republican politician stepped forward to do the same? Hey, Michael Steele, you said you cared about the concerns of minorities. Sarah Palin, you frothed when Rahm Emanuel used a crude term for the disabled. So, we know you’re willing to condemn offensive language, at least when it applies to your family and it profits you politically. 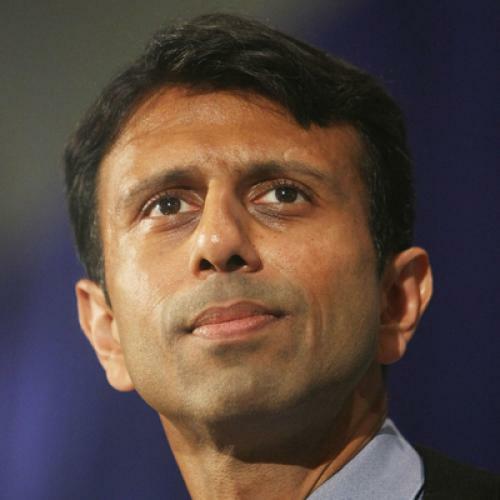 And what the hell does Bobby Jindal, the most prominent Indian-American politician, think about this? I suppose business groups would never target him. But he won’t have much of a moral leg to stand on, when in a Republican primary, some shady group runs a similarly racist ad against him.